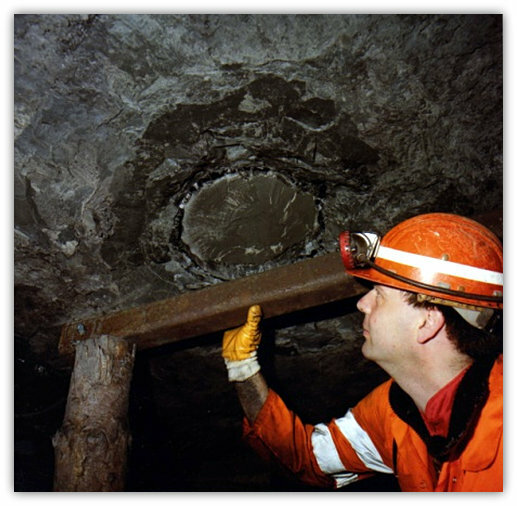 One small mine continued to operate at Eckington in Derbyshire, employing 27 men working the Flockton seam. 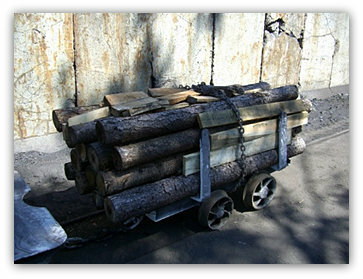 The output was transported by road to a power station. A fossil tree trunk found in the roof of the seam. The gates were supported by wooden props and steel roof girders. As mentioned earlier, Hatfield in Yorkshire was purchased by a consortium of Russians Kuzbassrazrezugol (KRU, one of largest producers in Russia) with 52% and RJ Budge with 48% of the enterprise and re-opened the colliery in May/June the Barnsley bed with a section of 3.8m coal being reached by drifting down from the higher seam approximately 2,000m from pit bottom and some 6,000 tonnes was produced from the headings in July 2007. Panels are laid out on the retreat system with panel run of around 1,100m. All the roads are roof bolted with no straps to a layer of rock app 5m above the seam. Remedial work continued at the shafts that had to be dewatered before operations could commence. The first face line was driven and installation of chocks carried out in December 2007 with aim of coal production in January 2008. The other developments put on hold. Chris J Daniels (12111) Director of Mining (previously Manager at Clipstone). Around 320 men by Christmas 2007. The country was deluged for weeks on end with rain. There was flooding across several parts. It was the wettest July since records began in 1750. No doubt about it, some of the shallower pits that have closed would certainly have been in trouble. (note late 2013 and early 2014 even more so). There was further blow to the burning of coal at power stations with emissions into the atmosphere being blamed for a rise in ‘mercury’ found in fish being caught in the seas !!! (Daily Mail September 2007). Within the mines nowadays various symbols are sited denoting areas where ear defenders are to be worn. Strangely enough, a ride down a shaft affects the ears with the change in pressure and of course the deeper the shaft the apparent affect on the ears gets worse and constant pinching of the nose and gulping generally gets rid of the feeling, although at times causes temporary deafness for a while. Seeing a miner in working clothes today is even different to when I left the industry. He is dressed generally in orange overalls as then, but now with over-vest with reflective strips, helmet with goggles and ear defenders, dust mask, gloves and possible knee pads but with gaiters to the lower leg and of course steel toe capped boots as before. 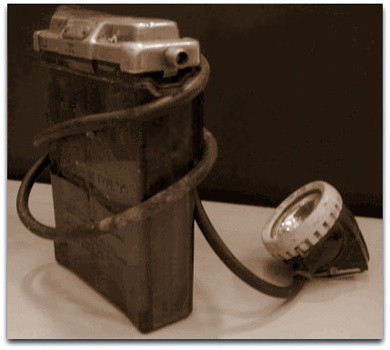 In addition of course the self-rescuer, battery and cap lamp, and oil lamp and detector if an Official, and now a plastic swipe card instead of brass motty, used both for location at the mine, as well as time keeping for pay. Batteries with LEDs (light emitting diodes) are superseding the traditional rechargeable cell battery and cap lamp with halogen bulb, in general use since 1947. How the old miners of yesteryear would ‘wonder’ at the ‘dress code’ of today. They were used to pit rags! These were generally dried nightly on the range at the front of the fire to be ready for next day. The reason for the allowance of coal was that there would be no excuse not to turn up on the next shift..! UDM union members accepted a pay deal over 3 years. In opposition to their Union officials members of the NUM accepted the same deal, back dated to January 2006 giving inflation-linked pay increases, and back pay of around £150 plus improvements in overtime rates and other benefits including enhanced redundancy terms. 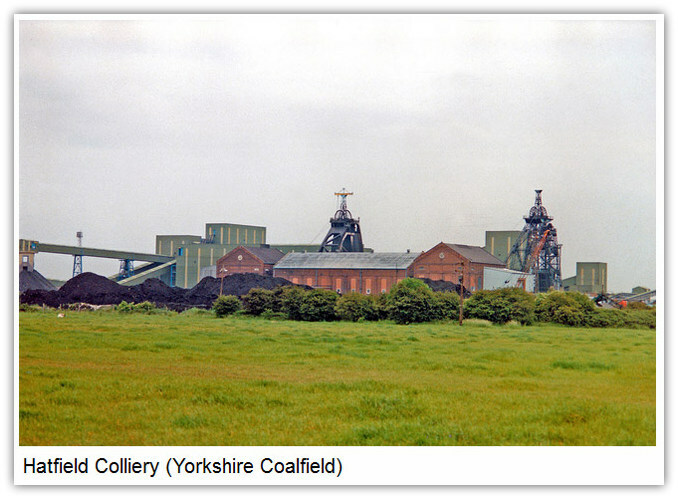 UK Coal began landscaping former Gedling colliery tip (Nottinghamshire) to create a country park. Soil was imported for tree planting and seeding grass in order to create a haven for wildlife and also a pleasant site for visitors. The tip was one of the largest in the country. Coal production was stopped at Welbeck (Nottinghamshire) yet again, for about two weeks in August 2006. As stated before the idea of working one face at a time is fine when all is well but any problem and there could be no production. Development headings continued to prepare for another face. Around £5m would be spent on equipping 244s retreat face using Turbo Transmission Technology (TTT). The Joy 4LS shearer is capable of cutting the 2.2m high Deep Soft face at the rate of 6m a minute producing around 11 tonnes. The machine has a softer start using automatic acceleration, speed control, load sharing and AFC water management. The 322m long face line is equipped with heavy duty 2 x 510 IFS chocks and coal is loaded out from the 900mm wide face panzer with 38mm conveyor chains onto 1.1 metre wide stage loader leading onto a 1.22m wide gate belt capable of moving 1,500 tonnes per hour with a prediction of producing up to 40,000 tonnes per week. It replaces 207s panel which produced 670,000 tonnes. Of the 300 odd men, some were offered jobs at the remaining pits held by UK Coal. Salvage operations continued to recover face chocks and drivage machines. Harworth was mothballed awaiting possible redevelopment of the Barnsley Bed (Top Hard seam) ! I believe this to be doubtful, as at least £80m in today's money would be needed initially for cross-measures drivages to access the seam. The seam section for the old workings shows quite a lot of dirt being mined within the seam. Then there would be further x millions (pounds) to develop faces. As time goes on these figures could well escalate making any project completely untenable. However there was an announcement in February 2007 that there would be a profit of £17m albeit that the remaining pits made a big loss. Amid growing speculation that planning permission would be granted for brown field sites at closed collieries it was thought that 50,000 acres of land previously belonging to NCB could be worth up to £880m in the future. Overall, the remaining 4 deep mines had made a loss of £29m compared to a loss of £46m for 6 mines in 2006. Further cuts in staffing at the collieries was underway to reduce costs. Opencast output continued to decline from 1m tonnes in 2005 to 0.6m in 2006 mainly due to adverse planning restrictions etc. 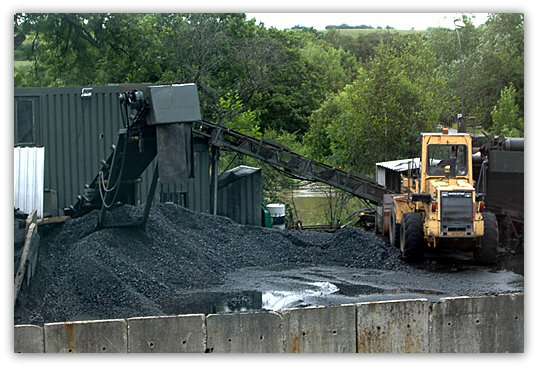 The Coal Authority issuing licences for coal mining receive some £12,000 for tonnages of up to 0.25m tonnes and proportionately more for higher tonnages extracted by opencast methods. 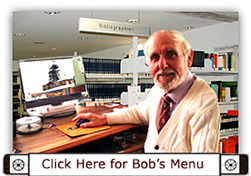 In addition a levy of 10p a tonne is paid to the Authority. However coal imports were 35.5m tonnes in 2001 28.7m in 2002, 32.9m in 2003, 36.1m tonnes in 2004, 44m in 2005 and escalated to 50.5m tonnes by 2006 at a cost of £2bn. 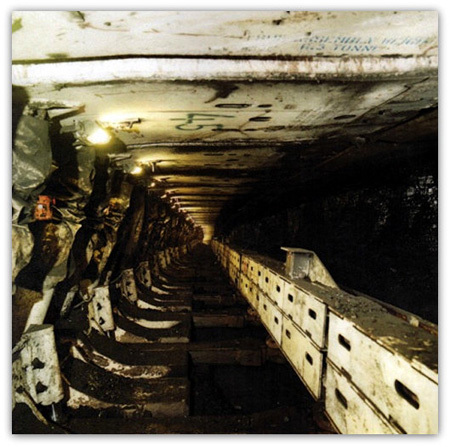 As mentioned earlier, Hatfield in Yorkshire was purchased by a consortium of Russians KRU and RJ Budge and re-opened the colliery in May/June 2007 the Barnsley bed with a section of 3.8m coal being reached by drifting down from the higher seam approximately 2,000m from pit bottom and some 6,000 tonnes was produced from the headings in July 2007. Panels are laid out on the retreat system with panel run of around 1,100m. All the roads are roof bolted with no straps to a layer of rock app 5m above the seam. Remedial work continues at the shafts that had to be dewatered before operations could commence. The first face line was driven and installation of chocks carried out in December 2007 with aim of coal production in January 2008. The other developments put on hold. Chris Daniels (12111) ex Manager of Clipstone appointed Director of Mining. Around 320 men set on by Christmas 2007. Again running a one face production unit was costly as 3 weeks were lost following face falls. However the face was retreated successfully to a close by September 2008, however the next retreat face was not ready so many weeks downtime was experienced again. The wages at around £250 per week were not attractive particularly as travelling expenses were not paid and men began to leave. A further set of chocks was purchased and the others recovered for further use. At mid 2009 the second face H2s had retreated to about 550m of its finishing point. Laterals and the next panel heads were being driven. A team of Polish men (non English speaking) were employed in a development heading of course as immigrants they were willing to work for those wages. Around 40 would be set on. One heading in June 2009 advanced 110m in a week, and no bonus. To get the pit restarted the shafts were dewatered successfully. There had been a cage crash in 1939 and the seam was prevalent to heatings, a major reason why so little of the Barnsley seam had been worked in the past. UK Coal collieries suffered loss of output with 4 weeks loss at Daw Mill, 9 weeks at Thoresby and 21 weeks at Welbeck. If production to the buyers cannot be guaranteed they will look elsewhere for their coal. Imports last year amounted to 22m tonnes from Russia, around 12m from South Africa and app 5m from Columbia plus others of a lesser amount. Although approximately one third of the electricity used in Britain is generated from coal only 3 tonnes in every ten is from UK mines, including opencast mining of 1.5m tonnes in 2007, increased from around 600,000 tonnes in 2006. Welbeck reserves in the Deep Soft dwindled due to some areas being waterlogged on the West side of the take and high levels of methane. 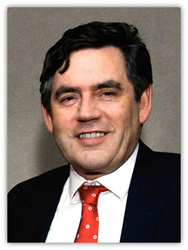 Gordon Brown MP (New Lab), Chancellor of the Exchequer for 10 years succeeded to the post of Prime Minister in 2007 when Tony Blair resigned the premiership of New Labour after 10 years and also his seat in the House of Commons. This Government would last until May 2010. Mike OBrien MP (Lab) for West Midlands continued as Energy Minister.